I think that it is about time we got rid of the Monarchy and became a Republic. The Queen costs British taxpayers over £36 million a year via the Sovereign Grant. Plus, once you add the cost of security and miscellaneous items, I bet the bill is closer to £50 Million a year. Buckingham Palace could be turned into a 5* Hotel, and a Presidential office set up in St James Palace. The revenues from the Buckingham Palace Hotel could then fund the office of the President of the United Kingdom. 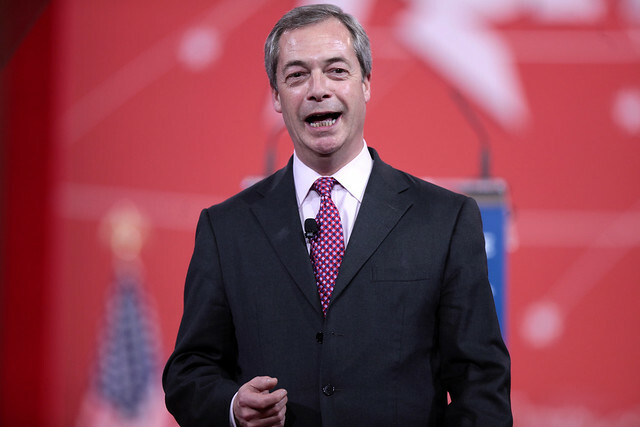 Nigel Farage would make a wonderful first President of the United Kingdom. Hell, even President for life. 25% discount for President Farage and his family in all British pubs. Also all pubs by law to have a life sized painting of President Farage holding a pint of ‘Real British Beer’. President Farages’ face on the ‘entry denied’ stamp at U.K. immigration desks. President Farage to appear on the £50 note waving a Union Jack flag. All NHS staff to swear an ‘oaf’ (sic) to President Farage and Britishness. Romania to be removed from all map, and its existence expunged from history. British roads only to be used by British passport holders who are third generation British or more. A special permit for those not fitting this requirement at a cost of £50 a day to help fund more border guards. All children born on the 3rd of April (President Farages’ birthday) must by law have Farage for a middle name, and a Union Jack tattoo. Breast feeding to be banned in all public places. All infants found feeding from the breast in public will be forced to be chimney sweeps between the ages of 7-14. This entry was posted in Politics, Random Rants and tagged Nigel Farage on April 12, 2015 by Richard.